Welcome To Contractors State License Services Online Bookstore! 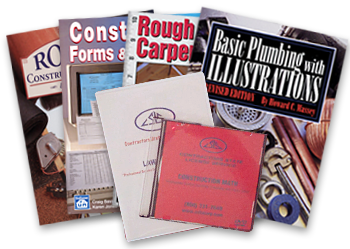 Our inventory reflects a variety of popular Trade books that can be used to supplement your license exam preparation or as a valuable reference tool in practicing your trade. 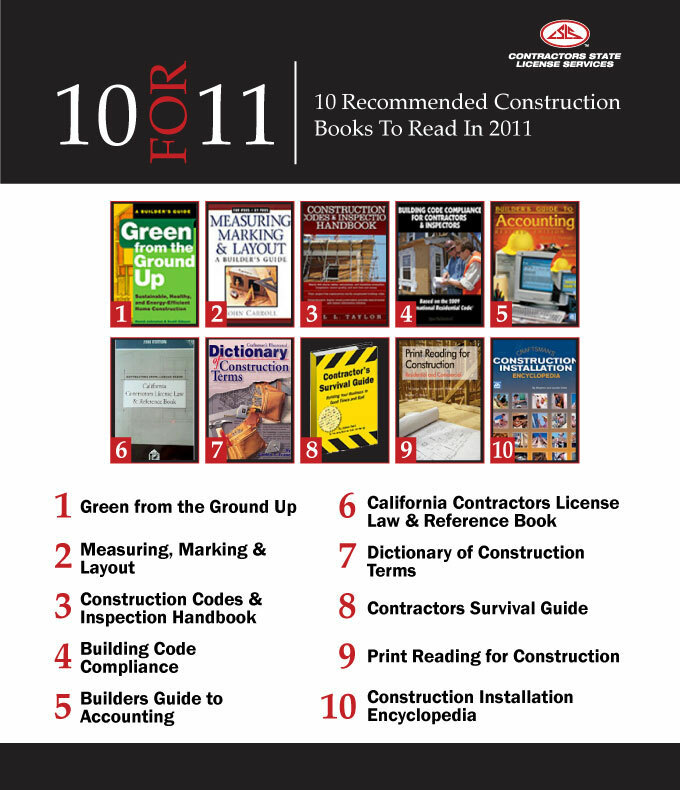 We also offer resources on general construction knowledge such as Construction Dictionaries, Construction Math, Blueprint Reading and Business Management. A variety of Legal contracts and forms required by law to protect you, your business and your clients. DVDs and Trade CDRs are available in the areas of License Exam Preparation, Estimating, Home Inspection and Business Management. Check out the Construction Master Pro Calculator found under the Forms, Contracts & Misc tab. It's one of the best in the industry and what we use in our Estimating for Contractors seminar.